Why Do Employers Need Workforce Planning? Workforce planning involves calculating the number and type of human resources an employer needs to meet its long- and short-term strategic plans. See What Is Workforce Planning? For a planning horizon that is less than 12 months, the workforce plan should produce a headcount forecast for different roles, locations and departments. That process is called operational workforce planning (OWP). See What Is Workforce Planning? For a longer-term planning horizon (i.e., two or more years into the future), HR should use strategic workforce planning (SWP). See What Is Workforce Planning? The workforce is often an employer's single largest cost. Therefore, having the right people in the right place and at the right time and cost is valuable. See Why Do Employers Need Workforce Planning? OWP generates a six- to 12-month hiring plan by calculating supply and demand and developing a strategy to close headcount gaps. OWP is the most utilized form of workforce planning. See Operational Workforce Planning (OWP). HR and management should reach consensus on the right future workforce. Developing a view with management about the demographics of the right future workforce has three phases. See The "Right" Future Workforce. 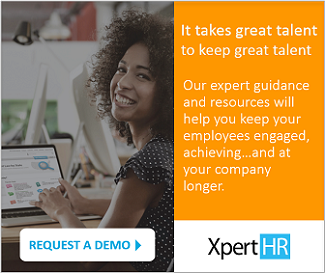 Maintaining a center of excellence is an emerging and rapidly evolving strategic HR practice. See Systems and Methods for SWP.